Studio Legale Curtotti is a partnership among Michele Curtotti, M. Claudia Lioia and Alessio M. Viola, all qualified as Italian Avvocati. 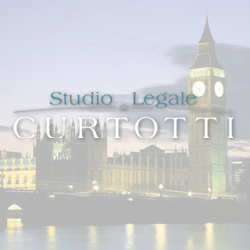 Founded in 1993, the law firm is based in Foggia with connected offices in Rome, Milan and London. - Corporate and Commercial Law.